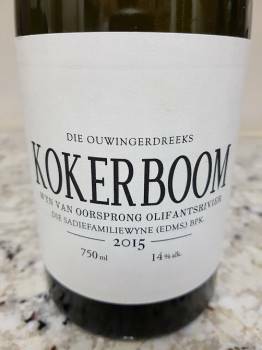 From Olifantsrivier Semillon planted in the 1930s and including both the white- and red-skinned versions of the grape. On the nose, green apple, lime and naartjie plus some herbal character. The palace is rich, full and intensely flavoured. Nicely coated acidity and some pithy bite on the finish. A dramatic wine. Wine Cellar price: R280 a bottle.